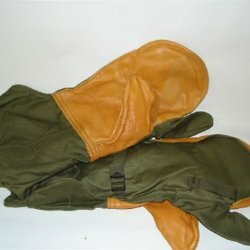 New US Military trigger finger mitten shells. OD with leather palm. Size Medium. Add a set of matching wool liners for only $2.00!